Pievieonjies žurnāla Europe&Me IT komandai līdz 2. augustam! Europe&Me ir pirmais Eiropas jauniešu online žurnāls. Ja esi ieinteresēts web administrēšanā, pārzini IT jomu un vēlies realizēt savas idejas Europe&Me komandā, līdz 2. augustam tev ir iespēja pietiekties redaktora vakancei! 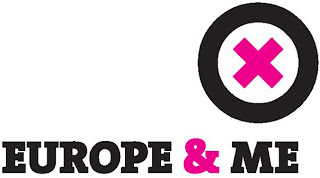 Europe & Me (www.europeandme.eu) is Europe's first online life magazine produced by young Europeans for young Europeans. After winning the European Charlemagne Youth Prize 2011, we are looking to recruit up to three new editors to join our editorial board as we expand into exciting new activities. One of the positions is reserved for a person with good knowledge of web administration technology, who will become the administrator of Europe & Me’s online platform (experience with Joomla CMS would be a plus). The editor role comes with immediate opportunities to realise your own ideas and develop yourself and Europe & Me together with us. You should be highly motivated and passionate about Europe. In return, you will work in a fun team of brilliant people from across the continent – and beyond! All academic (and non-academic) backgrounds are welcome and work will be diverse. For more information and the online application form please visit www.europeandme.eu/apply. We are looking forward to hearing from you and would be very happy to welcome you to our team soon. Make Europe & Me your project!